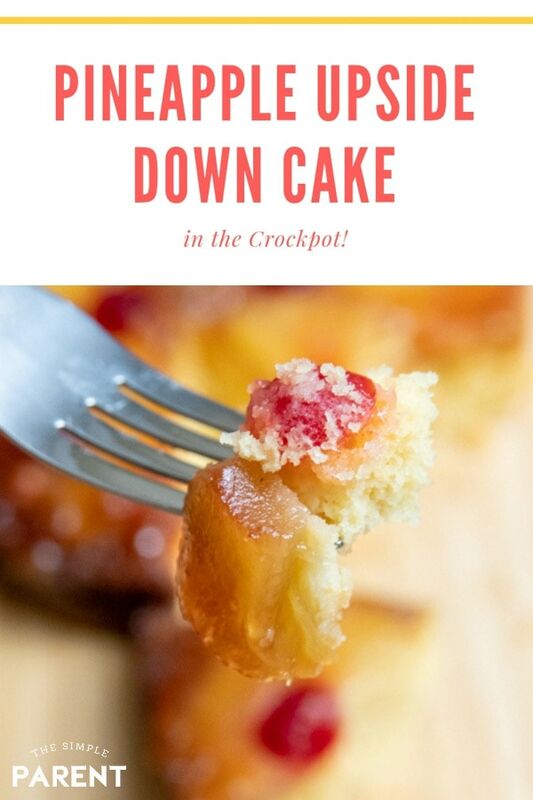 Celebrating with Crockpot Pineapple Upside Down Cake Recipe! Once school starts our lives get really busy! It’s the time of year when I really start depending on my slow cooker. We recently celebrated both kids having a great return to school by making an easy Crockpot Pineapple Upside Down Cake. Yes, baking in a Crock Pot is real! And it’s so easy to do! In this recipe, I’ve got a trick that gives you a really moist and flavorful cake. Transitioning into the back to school routine can be a tricky time. I’ll admit that waking up in the morning and getting the show on the road definitely challenges me sometimes. Sleeping in is one of my favorite things about summer. But when the kids go back to school, I also have a different work schedule. Working from home can be a challenge to balance. So having them head off to learn for the day helps me feel better about working from home. There’s a lot to celebrate! The kids love seeing their friends and learning new things. I love having some quiet moments to sit and relax before I get to work for the day. I enjoy sitting in the backyard with my sparkling water after we get home from dropping the kids off at school. But I also love celebrating with them! When I told them we could have cake to celebrate the start of the school year, they were extremely excited. Making memories can be as simple as having cake after school! Because I work from home, I knew I was going the CrockPot route. I can put everything in and let it work it’s magic while I work. Then by the time we get home from the after-school car pick up line, we’ve got a pineapple upside down cake to enjoy together! I was inspired to make a pineapple upside down cake in the slow cooker by Sparkling Ice Coconut Pineapple Sparkling Water because it was one of my drinks of choice this summer. It definitely has summer in the sun flavor, but I thought it would work great for packing a great punch of flavor in the cake! Sparkling Ice is a fun alternative to ordinary water. I love the fizz (it helps me drink more water each day) and Sparkling Ice comes in 16 different flavors so there’s a ton of variety! We’ve used Sparkling Ice to make slushies and so I was excited to use it in our baking! 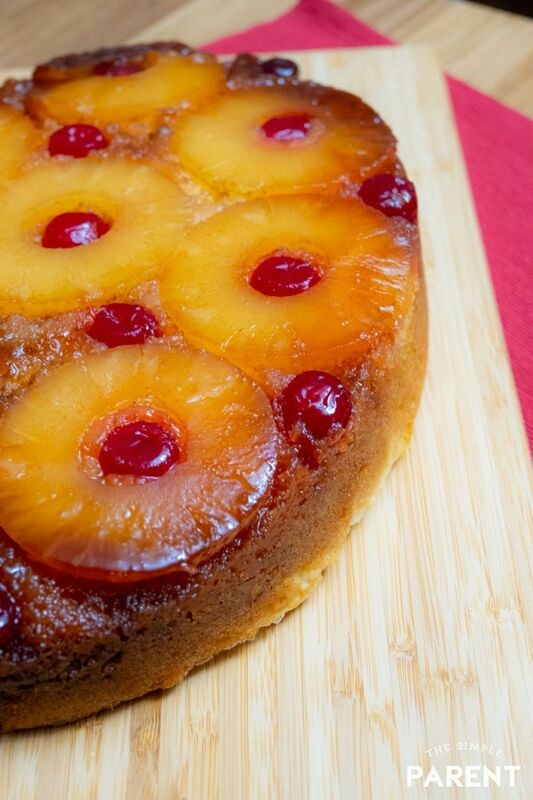 Crockpot Pineapple Upside Down Cake is so easy to make. If you want to bake but need to get things done, baking in a Crockpot is a perfect solution. You can prep your cake and then you’ll have some time while it bakes. 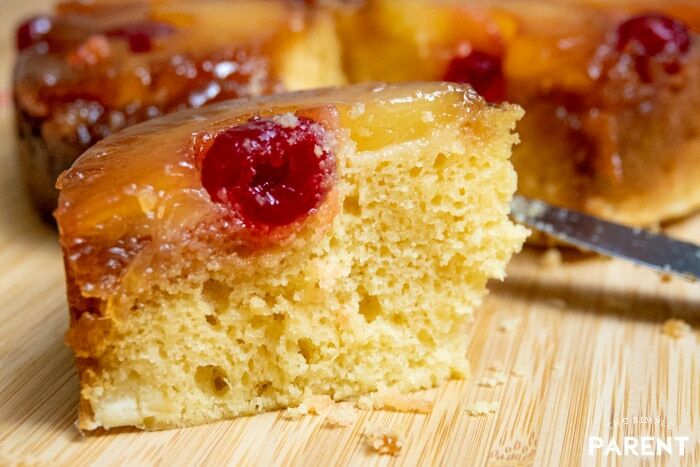 The ingredients for Pineapple Upside Down Cake using cake mix are pretty basic and you might have most of them around your house. You will need canned pineapple slices, maraschino cherries, and Sparkling Ice. You might not have those around the house! Check out the full recipe to see everything you need to make a cake today! Once you have all of your ingredients, there are three main steps before you start baking in the slow cooker. You have to mix your butter and brown sugar to make the mixture that will turn into the delicious glaze on the cake. Then it’s pineapple and cherry time before you add your cake batter on top! If your kids love to help in the kitchen, this is a great recipe for them to help make because there’s very little heat involved until your turn on your Crockpot. 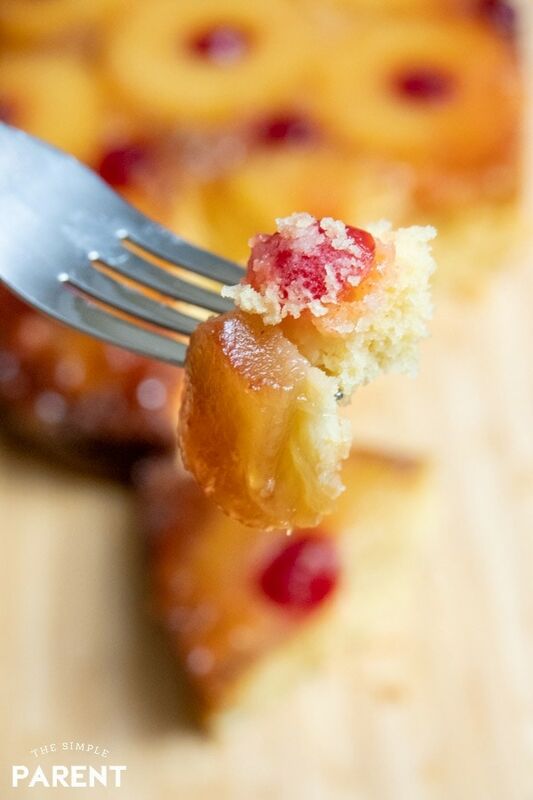 The key to this Crockpot Pineapple Upside Down Cake recipe is the Sparkling Ice Coconut Pineapple Sparkling Water because it adds a little twist on the flavor and you get a cake that is so moist it’s incredible! 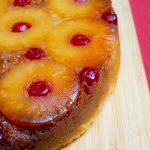 This slow cooker Pineapple Upside Down Cake is easy to make and tastes just like the classic cake! It's great for holidays and parties! Spray the bottom of a 6-quart Crockpot with non-stick cooking spray. Coat it well. Melt the butter and then mix brown sugar into the melted butter. Spread the butter and brown sugar mixture on the bottom of the Crockpot. Drain the pineapple slices and then arrange on top of the brown sugar. Place them as close together as possible without overlapping. Place a Maraschino cherry in the middle of each pineapple slice and in the spaces between the slices. Prepare the cake mix according to the directions on the packaging. 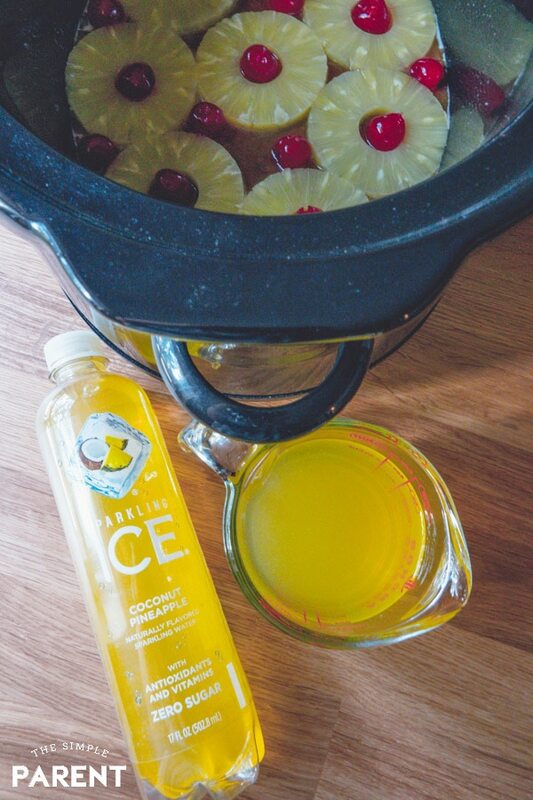 Use 1 cup of Sparkling Ice Coconut Pineapple instead of water. Pour the cake batter over the pineapple and cherries layer. Place the cover on your Crockpot and cook on HIGH for 2-3 hours. We generally let ours go for 3 hours to make sure it is fully cooked. Turn off the slow cooker and remove the lid. Place the slow cooker crock on a cooling rack and allow the cake to cook for at least 15 minutes before you flip it onto your serving dish. If you don't have Sparkling Ice, you can reserve the pineapple juice when you drain the slices. Then add water to the juice until you have a total of 1 cup of liquid. Use that liquid in place of the water used in the cake mix directions. 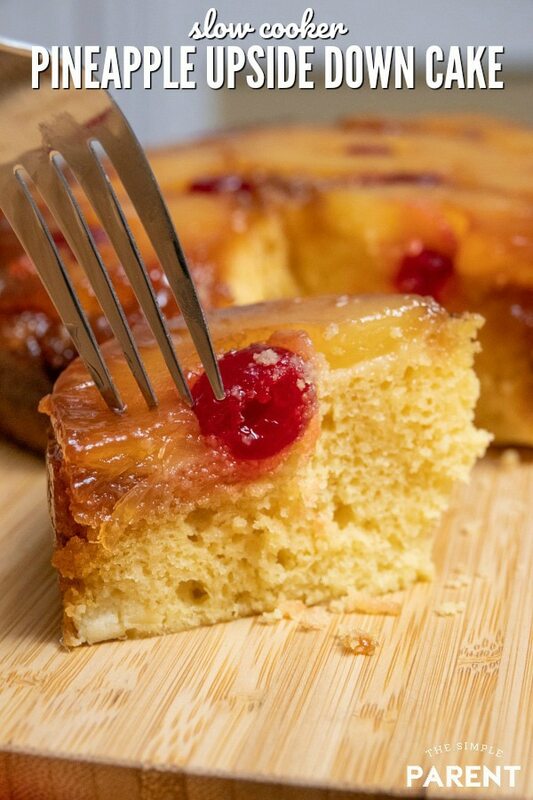 What I love about this Crockpot Pineapple Upside Down Cake recipe is that it’s really one where you can use the general recipe and pair it with different flavors. The possibilities are endless. 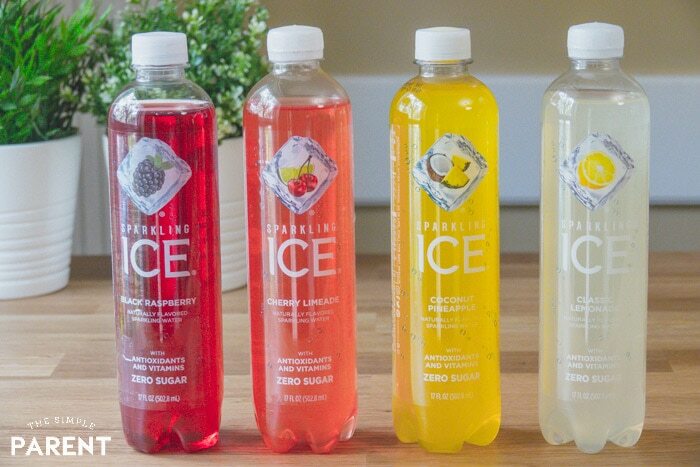 Sparkling Ice is available in 16 different flavors. You get sparkling water with great flavor but without all the sugar! All of the colors and flavors are naturally sourced and every flavor is zero calories! It’s a great option if you’re looking for a soda replacement or some variety in your fizzy water. I also love how you can use Sparkling Ice in other ways like slushies, baking, and even cocktails! 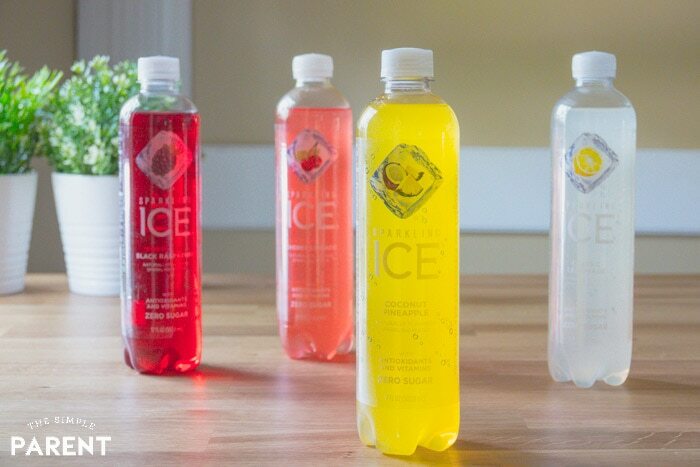 You can find all 16 Sparkling Ice flavors on Amazon or at your local retail store. On Amazon, you can save up to 15% and get free delivery with Subscribe & Save!